According to definition, gems are jewels and valued for their beauty and perfection. This month we feature little gems from the past, memorable books that deserve a place of prominence in children's literature, but are perhaps forgotten. With this in mind, we are privileged to present a few of these wonderful books from the past, and hope that you enjoy them as well. 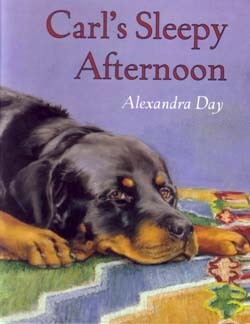 Mostly told through pictures, Alexandra Day has created another delightful story about a resourceful and adventurous Rottweiler. Left at home to nap while the family shops in town, Carl visits the bakery, delivers medicine from the pharmacist to the veterinarian, participates in a magic show, becomes a hero rescuing a litter of puppies from a fire, and manages to return home ahead of the family. This warm and gentle tale is a must-read-aloud for all young ones. A sweet and endearing friendship develops between a little girl and a yellow balloon. 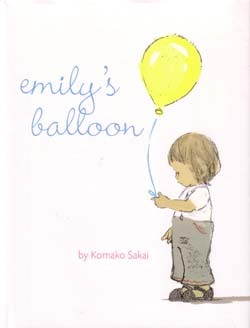 While she is out walking one day, Emily's mother buys her a yellow helium balloon, and by the time they arrive home, Emily and the balloon have bonded. When a breeze blows the balloon into a tree, Emily must wait until morning for Mom to retrieve it, but she spends her time imagining how she and her friend will eat, play, and sleep together tomorrow. Winner of the Japanese Picture Book Prize. 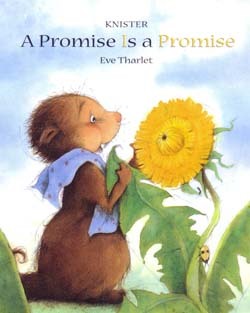 In a sweet story of trust and friendship, a young marmot awakes after a long winter to discover a beautiful dandelion. Over the summer, their friendship grows. They laugh together, play together, and dance together. "… and when it was time to sleep Bruno looked after her." One day the dandelion asks Bruno for a promise (to blow on her), and she assures him that all will be fine. Bruno fulfills the promise, but is heartbroken when he realizes that his friend is gone. Upon awakening the next spring, he discovers hundreds of new dandelions as well as hundreds of new friends. "Jack, Zack, and Caspar were making a den—a mighty great fort for King Jack and his men." Gathering a cardboard box, sheets, sticks, trash bags, bricks, quilts, and a flag, the three playmates build their fort/castle in the backyard. When completed, the day is filled with fighting dragons and beasties. As night approaches and they prepare to sleep in their stronghold, giants (parents) appear to claim Sir Jack and Caspar, leaving Jack alone. Listening to the whispering wind, mice scampering, and frogs croaking, Jack begins to worry, especially after hearing four feet approaching. 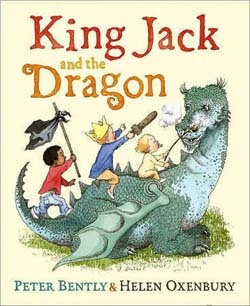 Imaginative play and clever rhyming make this fun adventure a favorite read aloud at bedtime. A small boy, the only one in town, predicts snow when he sees one snowflake, then two, then three. Despite the pessimistic media and adults in town, who dismiss his prediction, he sticks to his belief. Eventually the snowflakes become a snowstorm of swirling, dancing, and floating snow as they blanket the city. This magical white fairyland is enjoyed not only the boy and his dog, but by Mother Goose characters from a bookstore window, who join in the fun. 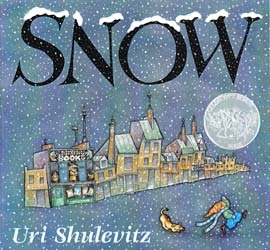 This enchanting classic is a Caldecott Metal winner from 1998. On a lovely day at the fair, while the grown-ups are distracted, five babies seek adventure and crawl away. A small boy in a fireman's hat is equally determined to keep them safe. "Remember the way / You tried to save the day? / You hollered, 'HEY!' / You babies, Stay!" The babies crawl in caves, chase bees and frogs, and get stuck in trees, only to be rescued, fed, and led home safely by their hero. Illustrations are in silhouette and offer details for children to pore over. The irresistible babies (bonnet baby, one curl baby, cornrows baby, dreadlock baby, and an upside down baby) are fascinating and worth the read. When a very large egg rolls into a Mother duck's nest, she does not notice the difference, even when a crocodile baby emerges. Raised as a member of the duck family, Guji Guji knows that he is a bit different from his brothers, but he loves them anyway. 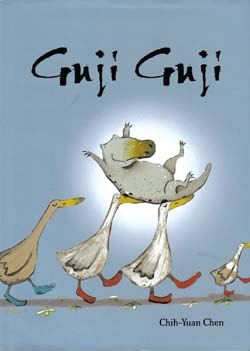 When three hungry crocodiles appear and threaten to eat the duck family, Guji Guji proves that family is more important and worth protecting. This great little story about family differences and loyalty is a worthy addition to every home library. Too old and slow to catch a spicy dinner of bayou creatures, Monsieur Gator uses his wits to outsmart the animals that tease and taunt him. 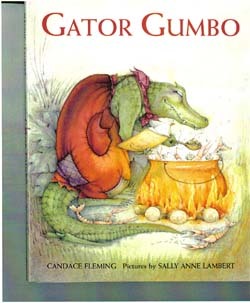 He devises a plan to cook up some gumbo similar to what his Maman used to make. Rude Mademoiselle Possum, saucy Madame Skunk, and bad-tempered Otter are more than ready to enjoy Gator's cuisine. They gather around for a taste, but realize too late that they are the dinner. A recipe for "Maman's Spicy-Hot Gumbo" is found on the back cover. This Cajun version of the little red hen invites listeners to chant along with the reader. With humor and wisdom, Alice McGill relates five trickster stories recalled from her African American family in rural North Carolina. In "Please Don't Fling Me in the Briar Patch" Bruh Rabbit outwits animals who desire to punish him for stealing. A good-natured possum is taken advantage of by a sneaky snake in "Bruh Possum & the Snake." Bruh Cooter helps Sis Possum catch a meal in "How the Critters Got Groceries." In "Bruh Rabbit's Mystery Bag", and "Looking to Get Married" Bruh Rabbit tricks Bruh Fox into taking a punishment for him and tries to win the King's daughter. The characters sometimes outwit the powerful and sometimes are outwitted themselves. Each story begins and ends with the author's comments about its moral and a brief personal story. A lonely feline lighthouse keeper and a sea-loving dog rescue and make a home for three orphan mice in the first of five sweet books about love, kindness, and families. 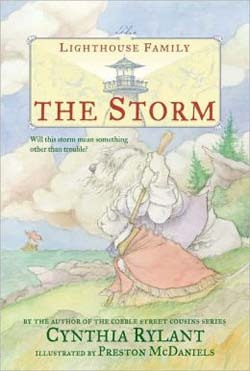 Pandora is lonely and a little weary as keeper of the lighthouse, but her life radically changes when a storm blows in a ship wrecked, crusty old sheepdog, Seabold. Over the next few months as he heals from his injuries, they become good friends, and he decides to stay. When Seabold rescues three orphan mice, Whistler, Lila, and Tiny, Pandora nurses them back to health and both decide that their family is complete. "It happened because a noble young cat wished to save lives. Because a brave dog wished to sail. And because three small children wished for a family." 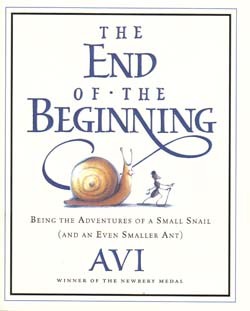 A snail named Avon is a reader who believes that adventure brings happiness. Thus, he and new friend, Edward the ant, journey at a snail's pace down a branch where they meet another snail, a cricket, salamander, and a mouse, which may be a dragon in disguise. Along the way, they help a worm determine his front from his back, discover that here and there are not very different, and the world should be viewed with the heart, not the eyes. Reaching the end of the branch, they turn around and head back arriving at Avon's house, which they decide is a magic castle. With wonderful characters who are curious, brave, intelligent, and most of all loving, this gem of a story will linger long after its end. 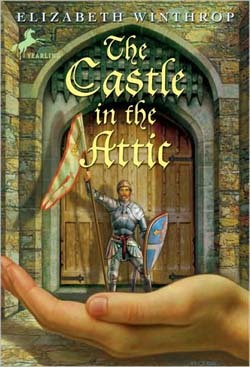 His departing housekeeper/nanny gives ten-year-old William Lawrence a miniature wooden castle, a magic token, and a tiny silver knight. Determined to keep her from leaving, William uses the token to shrink her to the size of the lone inhabitant of the castle, a toy knight, Sir Simon. To correct his selfish act, William also shrinks and accompanies the knight on a quest to win back his kingdom from a wicked magician. Learning compassion, chivalry, bravery, loyalty, honesty, and mercy, William becomes a formidable force against evil. Knights, castles, dragons, wizardry and magic along with strong morals and values make this story a classic for all to experience. In a sequel to The Castle in the Attic, two years have passed since William defeated the forces of evil and restored Sir Simon's kingdom. 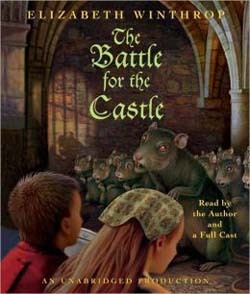 Along with a friend, William returns to the castle and enters it's magical world where they learn of a greater danger—an army of rats that threaten to eat everyone and ravage the land. With old friends and new comrades, William defends the castle and destroys the rats. With the magic token lost, Williams prepares for battle using his wits and courage he thought was lost. 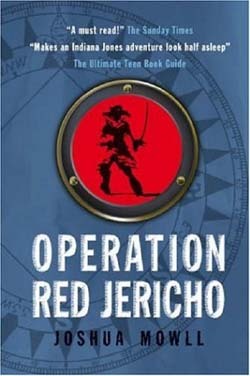 Entertaining and well written, this tale of high adventure and heroism is a fun read for another generation. When a hen on the Twitchell farm in Freedom, New Hampshire lays a gigantic egg, no one is more excited than 12-year-old Nate. 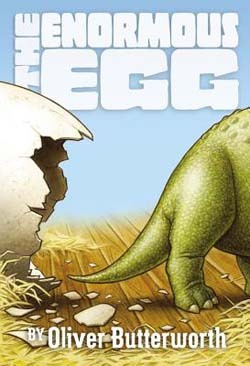 For six weeks Nate watches over the egg, turning it every few hours, until it hatches and a baby Triceratops appears. News travels fast, and before long scientists, reporters, and politicians show up at the family farm. Named Uncle Beasley, the little fellow grows amazingly fast, and problems arise as to nutrition, a permanent home, and long term care. With a scientist friend, Nate and Uncle Beasley set off for the National Museum in Washington D.C., where zaniness, suspense, and frustration await. Great classic fiction leaves the reader wishing for more stories, and this one will endure forever in children's literature as worth keeping. 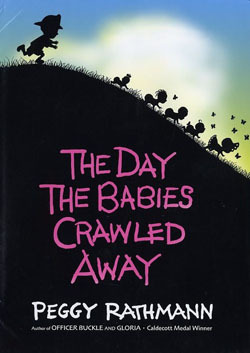 After September 11, 2001, three children are sent to stay with their eccentric uncle on the Bay of Eternity in Canada. In an old house designed like a ship, they awake one morning to realize that their house has been washed out to sea — the Sea of Time. It takes their combined ingenuity, with the help of a whale and time pirates to return home, and, oh yes, keep the mermaids from stopping time. 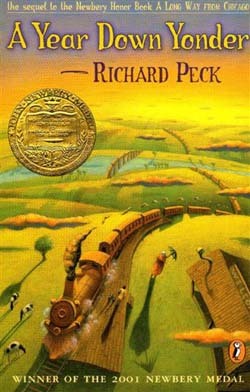 A great adventure book. The two sleuths from "Chasing Vermeer" are back, this time with a friend to solve a mystery surrounding Frank Lloyd Wright's Robie House in Chicago. 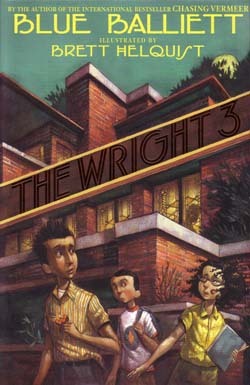 Calder, Petra, and Tommy are sixth grade students at the University School in Hyde Park, which also owns the Robie House. When the deteriorating house is slated for renovation and ultimately destruction (cut up into pieces and sent to museums), the three detectives must piece together a puzzle, overcome opposition, and decipher the landmark's secrets. With strange sounds coming from the house, shadows behind the art-glass windows, and a moving roof, the restoration turns into a search for hidden treasure and coded messages left behind by Frank Lloyd Wright. Kids will even learn a little about history and a famous architect. 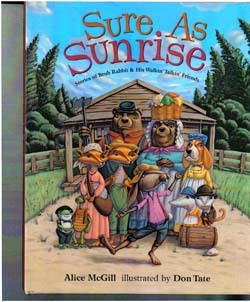 As a natural disaster passes over their home, three children huddle together by candlelight and listen to a unique fairytale told by their visiting cousin, Gage. 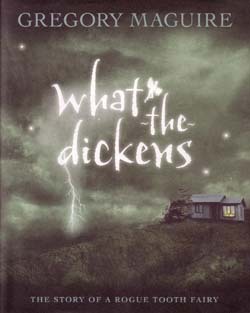 To keep the children from worrying over their missing parents, Gage tells them about the realm of skibbereen (tooth fairies) and one particular orphan skibberee, What-the-Dickens. Born alone, he discovers an attraction for teeth, develops an attachment to a white cat, befriends a feisty tooth fairy, who is working as an Agent of Change (trading coins for teeth), and learns about a tribe of skibbereen. Written as a story within a story, each of the children, as well as Gage, need the fairy tale to get through the stormy night, but the two oldest struggle between needing the magic of the fairytale and their parents teachings of faith and reason. During the Depression years Joey (narrator) and his sister, Mary Alice learn lessons about life from their thrifty, hardworking, and shrewd grandmother in rural Illinois. Each chapter is devoted to the annual weeklong summer visit at Grandma Dowdel's house at the end of town. Stretching the truth, plotting schemes to even scores, catching fish from a stolen boat, and arranging an elopement, handling a teenage vandal, a drunk sheriff, and a wealthy banker, Grandma Dowdel teaches her grandchildren about life. Humor, good old-fashioned fun, impressive escapades, and colorful characters make this classic story unforgettable. 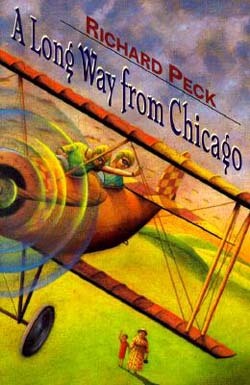 This award-winning sequel to A Long Way from Chicago finds fifteen-year-old Mary Alice (narrator) living with her wily, outrageous, and eccentric grandmother for the 1937 school year. Rural Illinois is quite different from Chicago, especially with Grandma Dowdel, where anything can happen and usually does. After a difficult adjustment, Mary Alice grows accustomed to her grandmother's wacky ways. From helping Grandma steal pecans and pumpkins for Halloween pies, making tarts for the Daughters of the American Revolution, to watching Grandma deal with pranksters, snotty town women, tornadoes, risqué borders, starving neighbors, snakes, stray cats, and privies, Mary Alice learns valuable life lessons, and develops a deep, lasting love for her irrepressible grandmother. This coming-of-age tale is a classic that will find a permanent place your heart. take over the world. When Otto Malpense, a thirteen-year-old orphan, is kidnapped and taken to the academy, he decides to put his somewhat special talents to use and breaks out of an almost impregnable fortress. With the help of three new friends, a world famous diamond thief, a computer genius, and a martial arts specialist, Otto tries to achieve what no one has ever accomplished in the school’s history. 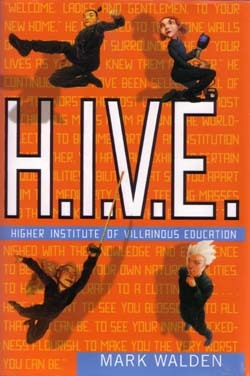 In an effort to escape, they are challenged by an all-knowing, almost human computer system, an out-of-control flesh-eating plant, and a school assassin/bodyguard. This is a fast-paced read with humor and plot twists. The cliffhanger ending is continued in the sequel. 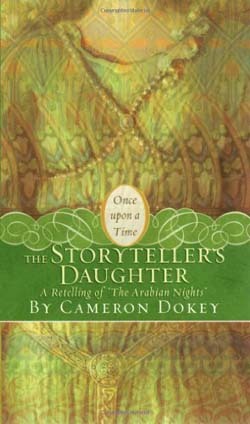 This retelling of the Arabian Nights classic surrounds an angry and bitter king, a blind and brave 17-year-old girl, and magical tales that change lives, heal hearts, and transform countries. After a terrible betrayal by his former queen, King Shahrayar vows to take a new wife once a month, keep her for one night, and kill her in the morning. Shahrazad, daughter of the Vizier, and a famous blind storyteller devises a plan to reach the king's heart by using her storytelling skills each night, but never finishing a tale by dawn, thereby prolonging her life. In order to break the former queen's dying curse, they both must learn to trust, forgive, and love before outside forces destroy the Kingdom. The magic of story telling and love overcoming adversity will linger long after the conclusion of this new telling. Full of mystery, adventure, intrigue, and science fiction, teenager Rebecca and her younger brother, Doug are sent to live with their uncle in 1920 China following the disappearance of their parents. Their tale begins aboard their uncle's research ship, Expedient, and continues through the streets of Shanghai as they encounter Chinese mercenaries, a pirate warlord, a Texan heiress, and a stolen cache of explosives called zoridium. They expose a heinous plot involving their parents and uncover a secret society hidden from the world for hundreds of years. 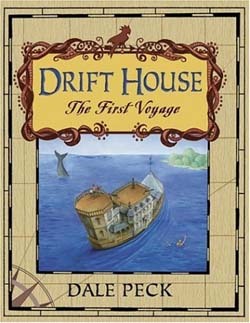 Sidebars, graphics, photos, newspaper clippings, a Morse code chart, diagrams of inventions, and descriptions of vessels round out a great adventure novel.